The new South Korean pop group FIX sings a original soundtrack (OST) for JTBC drama series Fermentation Family (Kimchi Family), which is released on January 26th, 2012 as the 3rd OST. The Fermentation Family OST part 3 has the song title of Afraid of Love (사랑이 두려워). Afraid of Love depicts a person who continues to love despite obstacles. 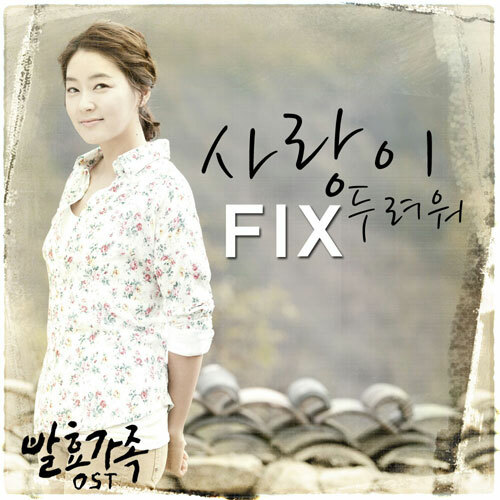 The FIX’s blend of sweet and mellow voices adds appealing charm to the song. Couldn’t it meant to be a destiny? Why are we destined to interleave? Why did I just loving you?